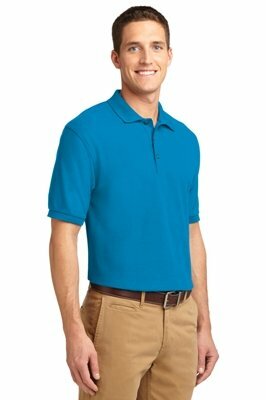 Above left to right are the Woman, Man, Woman Port Authority Soft Touch Polo Shirt Models. 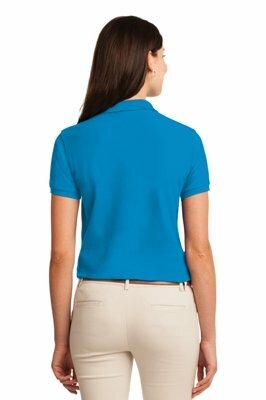 Above left to right are the Women's and Men's Styles Port Authority Soft Touch Company Polo Shirts. Above left to right are the Banana, Bark, Black Port Authority Soft Touch Company Polo Shirt Colors. Above left to right are the Bright Lavender, Burgundy, Clover Port Authority Soft Touch Company Polo Shirt Colors. Above left to right are the Coffee Bean, Cool Grey, Court Green Port Authority Soft Touch Company Polo Shirt Colors. Above left to right are the Dark Green, Deep Berry, Eggplant Port Authority Soft Touch Company Polo Shirt Colors. Above left to right are the Gold, Hibiscus, Kelly Green Port Authority Soft Touch Company Polo Shirt Colors. Above left to right are the Light Blue, Light Brown, Light Pink Port Authority Soft Touch Company Polo Shirt Colors. Above left to right are the Maroon, Maui Blue, Mediterranean Blue Port Authority Soft Touch Company Polo Shirt Colors. 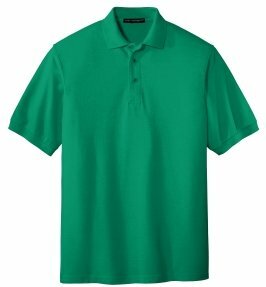 Above left to right are the Mint Green, Navy, Orange Port Authority Soft Touch Company Polo Shirt Colors. Above left to right are the Purple, Red, Orange Port Authority Soft Touch Company Polo Shirt Colors. Above left to right are the Steel Grey, Stone, Strong Blue Port Authority Soft Touch Company Polo Shirt Colors. 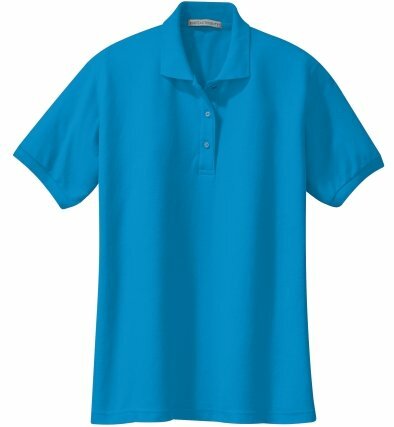 Above left to right are the SunFlower, Teal Green, Texas Orange Port Authority Soft Touch Company Polo Shirt Colors. Above left to right are the Tropical Pink, Turquoise, Ultra Marine Blue Port Authority Soft Touch Company Polo Shirt Colors. Above is the White Port Authority Soft Touch Company Polo Shirt Color. 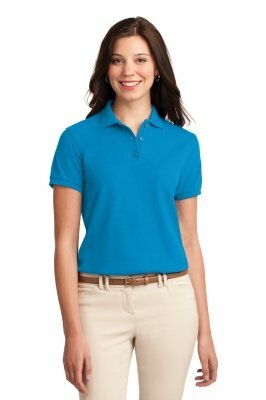 You may assort the colors, styles - Men's or Ladies for the total order of company polo shirts.